Eastman ATV has been invited to attend. Once I receive the application back from the Santa Parade committee I will send you all the needed info. Please do this as soon as you can as we needed a minimum of ten machine to make this happen. Thank you for your support and dedication in supporting our community at large. We have been invited to the Narrows West Lodge please visit the website to find out more information on this location. There is a trail system out there and the venue is looking at promoting ATV trails in the future. Here is the make up ad prices of the hotel rooms. Right now they are all available for the that weekend but they tend to fill up fast. To make reservations please speak to Debbie at the lodge 204-768-2749. There is also camping available. For more information on this trip please contact Donald Eidse Please drop Donald an email if you are planning on attending. Take a ride on the express, travel in the foot steps of history. Feel the rumble under your wheels and imagine the sound and smell of the old steam train rolling though the eastern part of the province. Take a ride with us and follow the old trails of the past. The Eastman Express Experience will be a two day event. It will launch from two locations. Track our progress in real time, we will be running a spot tracking for you to follow along. This link will start showing data on the morning of June, 7th. Visit our website for the link. Our AGM was held on April, 6th and it was a great success. I would like to thank the members that came out to make this meeting a success. The trail committee made a presentation to the club with an update to our trail initiative with the RM of Tache. We are looking towards another riding season and rolling out our new club event. The Eastman Express check back to our website regularly for updates. 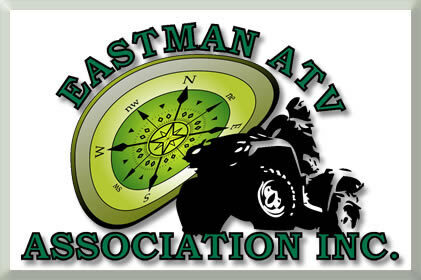 For the Eastman ATV Association Inc, the topic of designated multi-use trails is front and centre.